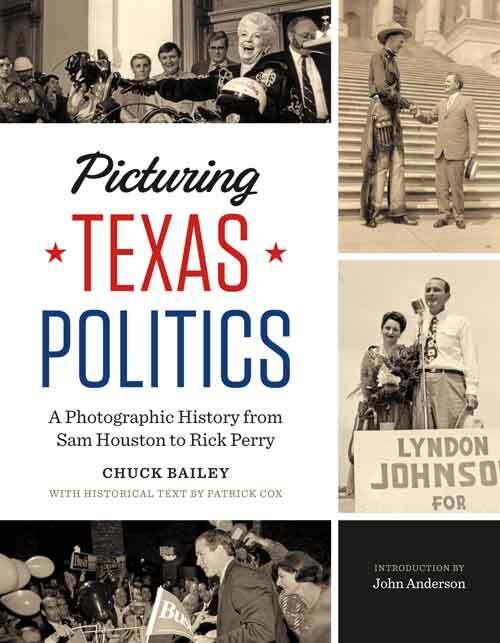 With rare, previously unpublished photographs and iconic images of politicians from the state’s founders to Ann Richards, George W. Bush, and Rick Perry, here is the first-ever photographic album of Texas politicians and political campaigns. A lawyer in private practice, Bailey has also served as assistant general counsel to Texas Governor William P. Clements and chief of staff to Lieutenant Governor Bob Bullock. He is the author of Texas Political Memorabilia: Buttons, Bumper Stickers, and Broadsides . Cox is an author and public history consultant who previously served as associate director of the Dolph Briscoe Center for American History at the University of Texas at Austin. His many books include Writing the Story of Texas . 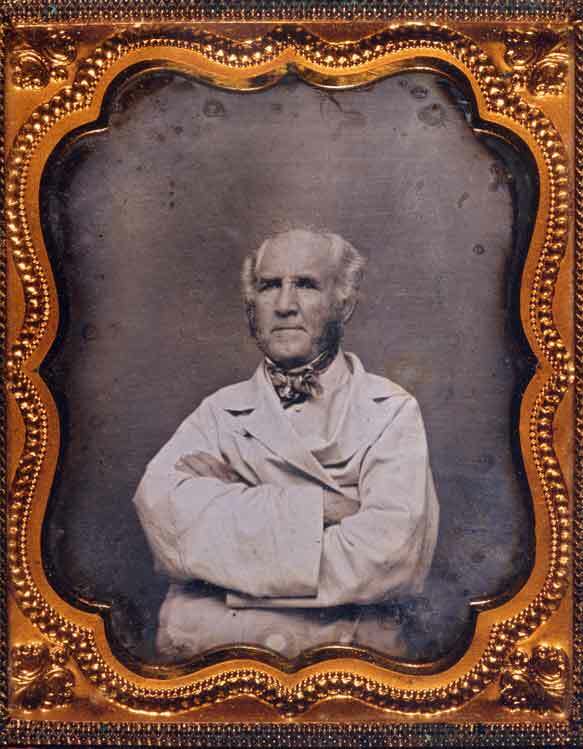 As Edward Burleson’s daughters tell it, they had traveled the short distance into town one day in 1850 and passed a photographer’s studio.Their father was unshaven and dressed “in his every day farm suit.” General Burleson had served in the Second Congress, had been elected vice president of the Republic of Texas, and had run against Anson Jones for president of Texas, later serving as president of the Texas Senate pro tempore until the end of his life in 1851. From today’s perspective, his curriculum vitae reads like that of a politician. But according to his cousin Rufus Burleson, the general was much more a statesman than a politician—and intentionally never had his photograph made until he gave in to his daughters’ loving entreaties that day in San Marcos. In 1887 Rufus Burleson recounted his late cousin’s “utter disregard of notariety [sic] or rather his unutterable contempt for seeking fame,” and explained that Edward had not had his photographic likeness made because “he had such contempt for all the tricks and artiﬁce that little souls rise [sic] to magnify themselves . . .”That day in San Marcos, Edward Burleson bent to family politics, if no other politics, and sat for the iconic daguerreotype portrait now held in the Texas State Archives. Ten years later, in 1860, William DeRyee set out on a different venture— to photograph all the major ﬁgures in Texas state government in Austin. A Bavarian by birth, DeRyee was an inveterate experimenter, an inventor, a miner, a chemist, and an entrepreneur. He began experimenting with photography in New Braunfels in the late 1850s—in the twentieth century we might have said he “caught the bug ”—and he soon became a successful commercial photographer in San Antonio. DeRyee’s partner for the Austin project was R. E. Moore, a person about whom we know little, though he may well have been the R. E. Moore practicing photography in Houston in the late 1850s. As accomplished and skillful as DeRyee and Moore may have been, they had their work cut out for them. Wrangling more than 120 Texas senators, representatives, and other officials to sit for portraits is a formidable task in any era. Governor Sam Houston, infamous for his mercurial temperament, might have been one of the easier subjects. Among the multitude of activities Houston seemed to enjoy in life was creating a costume and a character. Whether it was simply what he had put on the day of the sitting or something he consciously chose to wear for the portrait, Houston turned out in a vest made from a jaguar pelt. The fruit of DeRyee and Moore’s work was The Texas Album, of the Eighth Legislature, 1860, of which only a few copies are known to exist today.Though inexpensively printed and bound, this very limited-edition album featured actual photographic prints of the stunning portraits hand-pasted onto pages opposite printed text. Egos, personalities, and other human dynamics involved in the Texas Album project aside, simply making the photographs was a difficult and tedious job. Though on its way to extinction in the twenty-ﬁrst century, in 1860 photographic ﬁlm was still twenty-ﬁve years from making its appearance as a practical and reliable tool. Using somewhat uncomfortable exposure times, photographers captured portrait images on sheets of glass “plates” prepared by coating them with a syrupy light-sensitive emulsion in the dark. Where the photographers set up their light-tight “darkroom” wagon, or tent, and backdrop that served as a studio for the project is unknown. We can imagine it might have been in, or at least at the site of, the old limestone Capitol (which survived the Civil War, but burned in 1881), where the present, magniﬁcent pink-granite Capitol now stands. These 1860 portraits were made as events steadily unraveled to push Texas to the brink of secession and the United States to civil war. 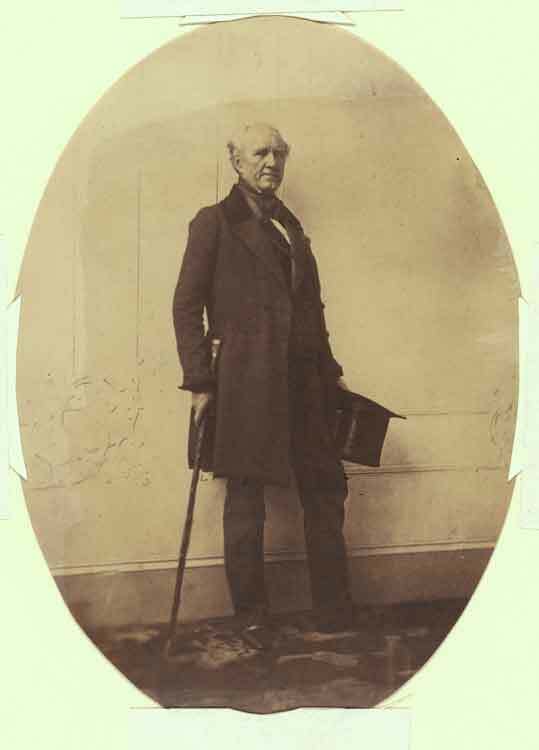 Sam Houston’s opposition to secession ended his governorship in March of 1861, when he resigned and was replaced by Lieutenant Governor Edward Clark. Though superﬁcially, perhaps, it is merely a compilation of individual portraits, The Texas Album, of the Eighth Legislature, 1860 is arguably the ﬁrst signiﬁcant work of Texas political photography. Included among the portraits are many notable subjects. Former governor Hardin Runnels and ex–lieutenant governor Francis Lubbock were at least pragmatic proponents of conscription, a devastatingly bitter hardship for Texans. James W. Throckmorton was one of the few delegates to the Secession Convention who voted against secession, but he went on to serve Texas and the Confederacy loyally. 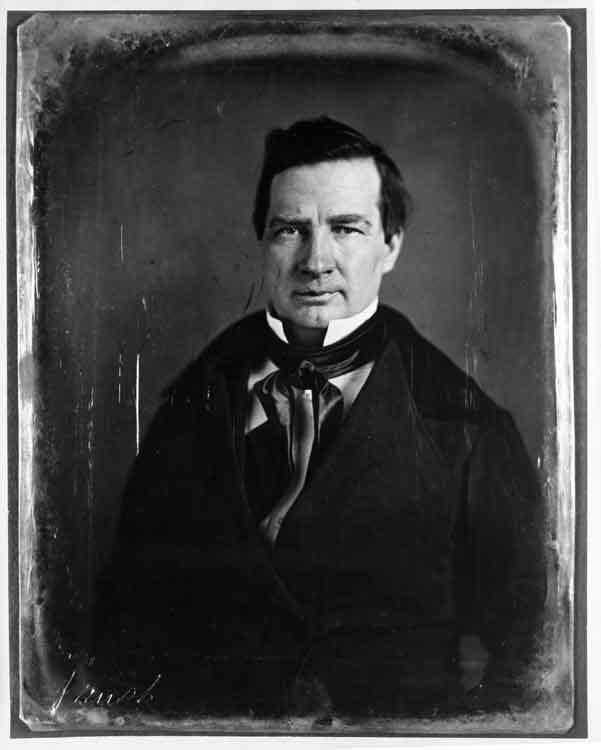 Senator Martin Hart resigned the legislature after secession. Though an outspoken opponent of secession, he was awarded a Confederate officer’s commission and formed a company in Arkansas. Hart later turned his forces against the Confederate cause and was ultimately tried and hanged in Fort Smith, Arkansas, in 1863.Also a Unionist, John Leal Haynes ﬂed to Mexico, subsequently served in the U.S. cavalry, and survived the war.For every man pictured in the album, there is a story of how that person’s life and career were interwoven with the most chaotic and destructive political events in U.S. history. Both photographers and non-photographers, at least ones given to such amusements, have often engaged in squabbles about the semantics of whether photographs are made (planned and crafted) or taken (conveniently plucked from reality). Preeminent twentieth-century photographer Ansel Adams consistently spoke of making photographs. Using a musical analogy, he compared the negative to the composer’s score and the print to the orchestra’s performance. For photojournalists on assignment in a fast-moving world, the balance of photos made and taken probably shifts with the circumstances of the day. William Crawford, who has written extensively on the syntax of photography, reminds us that “the photographer can only do what the technology available at the time permits . . .”We remember DeRyee tediously making his own cumbersome wet plates in a makeshift darkroom. That era steadily gave way to commercially produced glass “dry” plates, faster emulsions, ﬂexible ﬁlm, portable cameras, interchangeable lenses, ﬂash bulbs, strobes, electronic light metering, motor drives, and now digital photography. Details of the technical advances seen to this day are almost endless. The successful photographer is likely the one who best understands and exploits the tools available when photographic opportunity arises. We don’t know that much about many of the early photographers represented in this book, but talking with twentiethand twenty-ﬁrst-century photographers gives us some insight into what it took to get the photos. Retired Associated Press photographer Harry Cabluck got the bug as a teenager and learned darkroom fundamentals from an uncle when he was about fourteen. When Cabluck started “chasing wrecks” in Fort Worth he had probably never heard of Arthur Felig (“Weegee”), the legendary New York street photographer, but to some degree Harry became an energetic, younger, Texas version of Felig. The Cabluck family business was running a tow truck service, so Harry had access to accident calls years before police radio scanners were commonly in use. It didn’t hurt that he gave photos to the police department gratis. His self-assigned work paid off when he sold his pictures of a major auto collision to an insurance company and made enough money to pay for a semester of college tuition. Eventually Cabluck’s photography got the attention of Fort Worth’s Star-Telegram, which led to his thirty-year career with the AP. I handed Cabluck copies of some Russell Lee photos being considered for inclusion in this book. After holding and studying each of the prints silently, he ﬁnally smiled, shook the prints enthusiastically, and voiced approval. He said he was fortunate to have met and worked with Lee at Cliff Edom’s Missouri Photo Workshop. When I asked him how he thought Lee was able to make such intimate photos of everyday people at political events he said that “Lee respected people”; he tried to put himself in their place and used his camera accordingly. He suggested that Lee was probably holding and operating his rangeﬁnder camera in a less confrontational way—lower and closer to his chest—to get more natural and candid photos. “Russell Lee didn’t go charging in,” he said. In addition to the encouragement of her ex-husband, Austin photographer Ave Bonar credits Russell Lee with sparking her career in photojournalism. She says that Lee worked to preserve the dignity of those he photographed during the hard times of the Farm Security Administration (FSA) project. Bonar studied and admired Lee’s subsequent photos of progressive Ralph Yarborough’s unsuccessful 1954 campaign for governor. She later met a highly motivated young photographer, John Van Beekum, who had taken time off from school in 1972 to capture an impressive account of Ben Barnes’s failed run for governor. Bonar almost literally missed the boat when her own chance came, to cover Ann Richards’s 1989 kickoff.In the end she built a profoundly intimate portrait of Richards’s campaign for governor against opponent Clayton Williams. I asked Bonar, a thoughtful and soft-spoken woman, if she ever had to ﬁght for a photo during the Richards campaign.Normally, Bonar carefully choreographed her movements to lithely slide through a crowd to get to where she needed to be, but even as the official photographer she couldn’t always predict where and how the candidate would enter and move within a room. 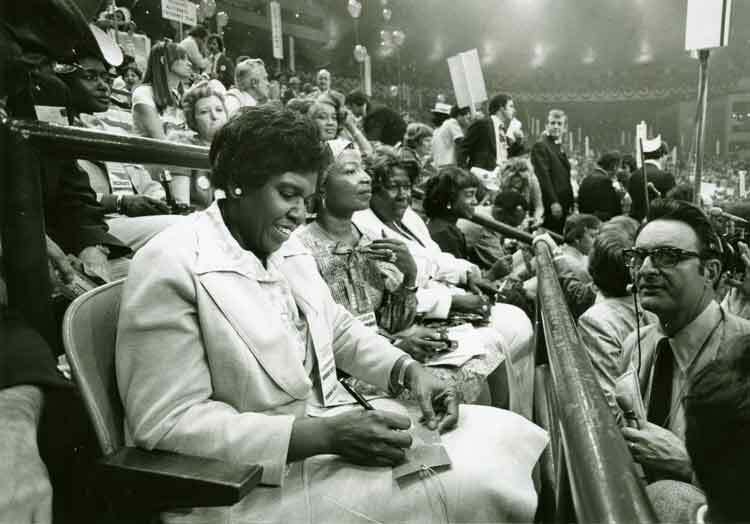 At the Dallas luncheon where Richards and Williams infamously collided, she found herself pressing through the crowd in frantic determination, while, to Bonar’s disbelief, another photographer, also a woman, pulled her back by the collar and tried to gain the advantage. Bonar made it to the fateful spot where Richards and Williams met, and where Williams refused to shake the hand of his lady adversary, possibly losing the election due to his breach of Texas etiquette. At another “meet the candidate” event in Victoria, a TV cameraman ﬂagrantly hipbumped Bonar away from his position. In a rare display of ire Bonar solidly bumped him back, only to learn later that they were on the same team; the cameraman had been hired to provide video for the Richards’s camp. Bonar says that Russell Lee’s mentoring awakened her talent for seeing and portraying the truth in the photos she makes, and that her relationship with Ann Richards honed that ability. She mused that she is still more comfortable photographing people she knows, but, when pressed, allowed that she has steadily learned to sort out the truth in images of all the subjects she photographs. For more than twenty years, Bill Malone was the Texas State Archives’ contract photographer and, in that capacity, had photographed the administration of every governor from Preston Smith to Ann Richards before his retirement in September of 1991. 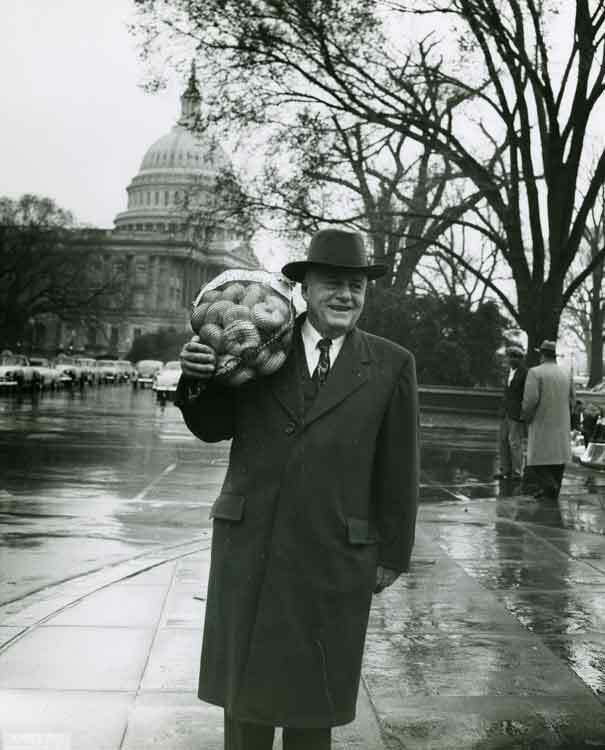 Over the years Malone charmed his way into the Governor’s Mansion; onto the ﬂoor of both chambers of the legislature; into countless parties, galas, and events; and into his spot in the governor’s public reception room in the Capitol where legislation and proclamations are signed and constituents and VIPs are ceremonially greeted.15 Malone’s medium-format “two and a quarter” roll ﬁlm camera was worn, clunky, and badly outdated, but he knew the focus, depth of ﬁeld, and ﬂash settings for any event in the room by touch. Bill Malone’s successor Bill Kennedy observed, “Malone made photography [around the Capitol] into a utility—something as reliable as ﬂicking a light switch.” Or maybe you didn’t even need to ﬂick the switch. A former administrator of the Governor’s Mansion once vented to me with frustration (and some vitriol) that when Bill Malone was the archives’ photographer, you didn’t need to call him, you didn’t need to schedule or arrange for him to be at an event . . . he just appeared, and made wonderful pictures that everyone liked, regardless of their politics, and everyone was happy. In September of 1992 Richards was already eighteen months into her term and Kennedy had been on the Archives beat for a year. Inspired by Ave Bonar’s in-depth coverage of the Richards’s campaign, Kennedy and I needed to establish some behind-the-scenes photographic access to an administration that had pretty much ignored the archives. For a start, we had been working to lock in an appointment to make the official Archives photo portrait of Governor Richards, at an exclusive sitting in the comfortable privacy of the Governor’s Mansion. we had somewhat naively hoped it would be. The archives’ time slot followed Richards’s extended family Christmas photo shoot, which included small children and an irritable governor. The story had just broken the night before that Lena Guerrero, Richards’s handpicked interim appointee to the Texas Railroad Commission and now candidate for a six-year term, had not graduated from the University of Texas as she had claimed on her résumé. Governor Richards, as the expression goes, was “no one’s sweetheart” that morning. She clattered headlong down the stairs and into the parlor on her high heels, then demanded to know what this photo was about. I answered that it had become a tradition to do an exclusive, official photo portrait for the archives. She sat down in a chair, calmed herself for a moment, and then said she was very interested in libraries and archives and that we had ﬁve minutes to make the photo. It was more like two or three minutes at best. I held a small ﬂash strobe on a cord at arm’s length over my head and Kennedy carefully clicked off a couple of frames, but almost immediately her campaign press secretary Chuck McDonald entered the room, ready to whisk the governor off to an impromptu damage control meeting. Kennedy and I had stashed all the portrait lighting gear we had not had the opportunity to use that morning beneath the west bank of windows in the small family dining room at the back of the mansion. We were doing our best to shake off what had just happened and had gone back to pick up the equipment when we saw a dramatic subject framed in the window that looked out onto the veranda. Richards was sitting at the metal patio table with two of her closest advisers, McDonald and Governor’s Office Press Secretary Bill Cryer. The gravity of the crisis of conﬁdence was evident on the advisers’ faces. Then the governor buried her head in her hands. Kennedy and I looked at each other quickly and, in seconds, weighed the question of whether he should snap the picture, a photo that was there begging to be taken. We agreed not to. The archives had been given an appointment to make a speciﬁc portrait. If Richards and her high-level staff, only a few feet away, saw us take the photo, we might jeopardize future opportunities for critical historical access. At this writing, Ann Richards and Lena Guerrero have been gone for some time, McDonald and Cryer have graduated to other successful careers, two governors have succeeded Richards, and several railroad commissioners have completed their terms of office since that Sunday morning. In hindsight, of course, I wish we had made that photograph, or even taken a snapshot with the quiet-shutter rangeﬁnder camera that Kennedy had in his bag. Even a grabshot of that scene for the archives would have informed scholars, researchers, and political junkies of later eras. With the distance of time, it would not be so much a political photograph as a document of the anguish of leadership. Chuck Bailey has nurtured a lifelong passion for politics, especially, of course, Texas politics—a passion that is informed and devoted. In his overlapping careers as an attorney, prosecutor, lobbyist, chief of staff for the irascible Bob Bullock, and discriminating collector, any native naiveté he may have had about politicians evaporated long ago. What Bailey has cultivated in his work seems to be an almost pure appreciation for the process and trappings of politics. The many pictures that Bailey has selected for this book are extraordinary examples of Texas photography, images not only political but also remarkably human. This is a collection of photographs both made and taken by visionary photographers who exploited the technology available to them in their time. Some of the photographers represented here are well known, while the names of others are already lost. Most of the photographers were steady and reliable. They strove to recognize the truth in their subjects and they captured that truth in their photos. For the most part, they were charismatic people who liked to get along, but they also did what they needed to get their shot. They found their spot and they let their cameras do the talking. We the viewers, the voters, the citizens, the Texans, are the ones who have beneﬁted.